History lays heavily on those who remember, who strive to know themselves as they know their friends and lovers, who seek nothing more from life than their own redemptions. I have read a hundred stories of towns that die in the wake of this specious notion called progress. Neighborhoods change. Suburbs draw the health and life of cities into cul-de-sacs where motionless, television intoxicated adults wonder why they lost their children to computers and phones and games. Meanwhile, those left behind construct lives from deteriorating landscapes devoid of commerce and that only have existence in the brutal relationships between hope and despair. We all feel our pasts as universal—for me as for you, as for him and her. 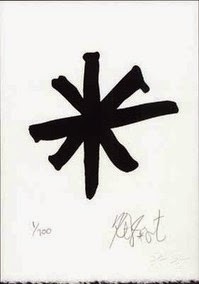 I can’t tell you how many times I’ve heard someone say that other people, presumably all other people, are idiots, assholes, or dunces. I, too, on occasion still believe the world conspires against me. But this is only when I am at my most selfish. The world conspires against no one. It moves on, changes from moment to moment, and, perhaps most cruelly, does not care for anyone more than another. That is, the world is as indifferent to me as it is to you, as it is to a hungry child in the Sudanese desert. If everyone else is an idiot and I am not, then I am alone. So my history weighs on me as much as anyone else’s pastlays on them. I should say, “histories.” I have many histories. I feel no special right to espouse truths or dispel superstitions. I must, however, come to terms with my several pasts. One is that of a child whose awe at the wide world and whose hopeful gaze led into all kinds of human relationships that inspired and disappointed him. Nothing, it seems, could stop the child from wandering deeper into territory that brought ever greater joys and sorrows. Another history is that of an intoxicated fool who, at one time, believed that the world began and ended with unconsciousness. I was not a person who sought euphoria, escape, or relief in alcohol. I wanted to flip a switch and turn off all the lights everywhere for as long as I needed them dark. The mechanism that dimmed and switched off the world gave me the ability to check out as necessary. 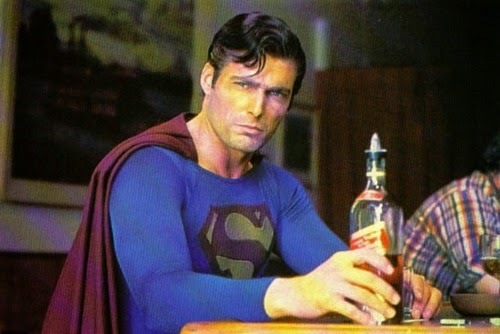 I was always Superman fending off the world and a superman who’s always passed out has a lot of power over the world. Of course, when one becomes reliant on elixirs and potions long enough, their reality transforms into a shivering nightmare where all things grow larger than themselves and produce delusions. I also have an adventurer to write about. I am not brave and never have been. But there is a something that I continue to try to find that drives me. This hidden force or forces keeps whatever I fear in my mind until the fear of not approaching the task so frightens me that it overcomes the fear of taking on the task. I must go forward, into the fear. I cannot, for the life of me, understand why I have to go there. Anyone else, I think, faces something scary, understands that it frightens them, and walks away. I cannot. Roller coasters, for instance, terrify me. I ride one every decade or so. The attendant locks me in. As we wait, my insides quiver as if made of gel. My anxiousness makes me feel as if we move but the world around me is steady, stable. The cars then begin gliding, pressing me against the cushion. I feel a weight similar to that I get as an airplane passenger at take off. The height and speed do not bother me. The precarious ledges upon which we all sit do not frighten me. But being flung about, whipped this way and that, turned upside down and back again makes me cry like a kid alone in a graveyard. I scream, “No! Nooo! No! No! No!,” as if refusing, denying, negating the machines and forces will bring the cars to a halt and the world back into my control. The roller coaster reminds me that I have no control of the world around me, of the events that determine the course of my life–and I never did. Roller coasters represent apathetic and impersonal powers that possess their own agendas and are themselves perhaps at the whim of winds of change greater than themselves. And still, I must climb aboard a roller coaster or Ferris wheel or octopus-like contraption every now and then. I haven’t forgotten the fright I felt before. But, I think, this time will be different. I walk by the roller coasters of life and they take hold of me. I fear them. But then the terror that I will lose some opportunity overcomes me, and I have to get on. I have to try again. Life is all roller coasters. As an ironworker, father, writer, husband, friend, I construct the mechanisms that throw me around so mercilessly. I build human relationships, tall buildings, and bridges with confidence. I set myself on and trust spidery, even gossamer contrivances far above solid ground–the sense of independence, and the ideas of self-sufficiency where I am most comfortable, where the illusions of control grasp my senses and make me feel I control my steps, my directions, my trips through this short, often vicious, and often beautiful life. We all deal with being whipped around in different ways. I work and write and walk. I come to know the topography of my city in great detail. My past laces that landscape. I cannot know my town, my place without understanding how memory and experience transforms scenery into self. I set out now on a journey through that past only so I can keep living. The weight of this town is killing me. 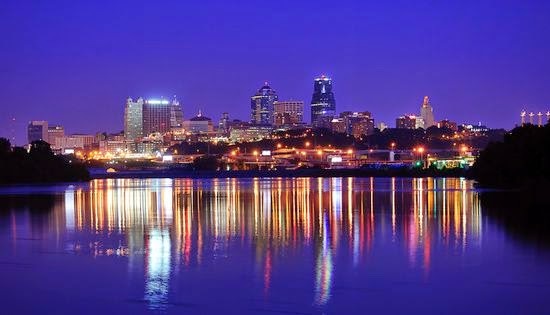 But my town, Kansas City, is not mine alone. It belongs to you. It is yours because we all have histories, contours of mind and experience that made us. Remembering may help us come to terms with who we think we are, where we thing we are headed, and what we want. I sit here now and believe—I really want to believe—that I will cut through my own myth. I have created stories of myself that I told to others, not as a way to deceive them but to delude myself. I start with saying I am not great. I have not accomplished everything I told my friends, family, and strangers I have done. I have lied. Looking closely at what I remember on this street corner or that, in this house or another, along this street or this other, I lose my place and find your town.